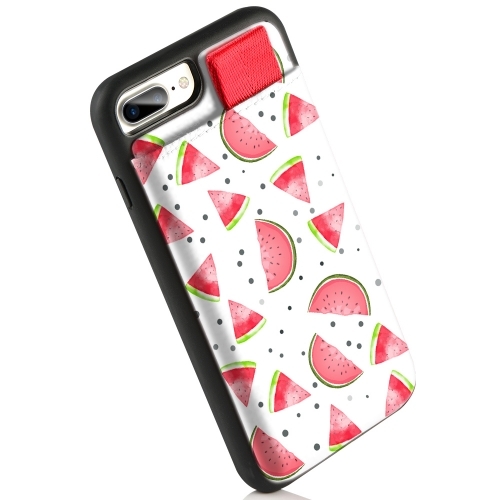 ONLY FIT for larger Apple iPhone 7 PLUS / 8 PLUS (5.5 inches) version. NOT FIT for smaller (4.7 inches) version. 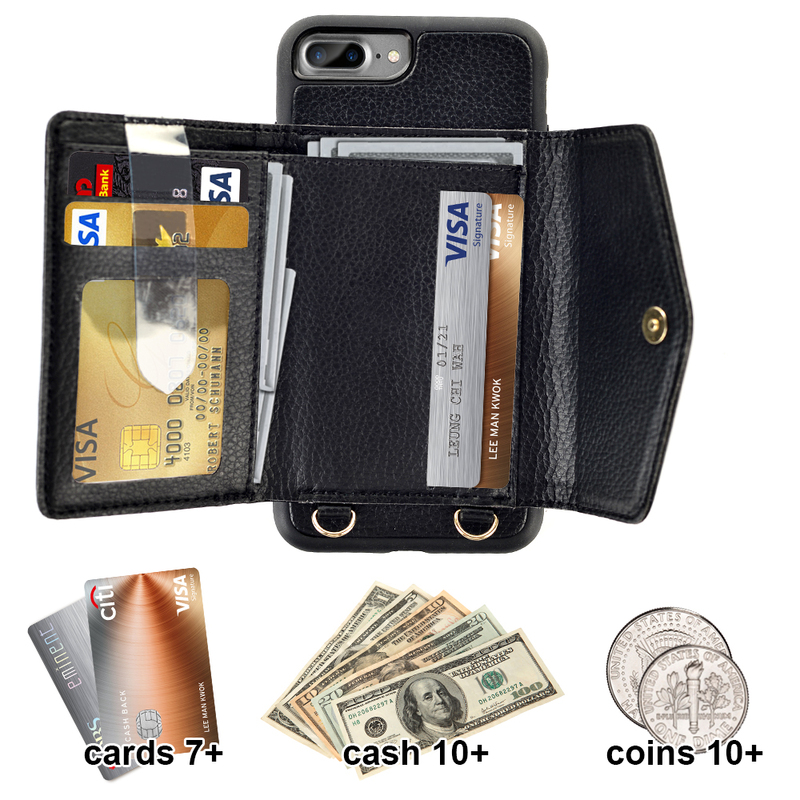 5 Hidden card slot + 1 Money Pockets securely holder 5+ cards plus 20+ Bills, easy to take out your cards. 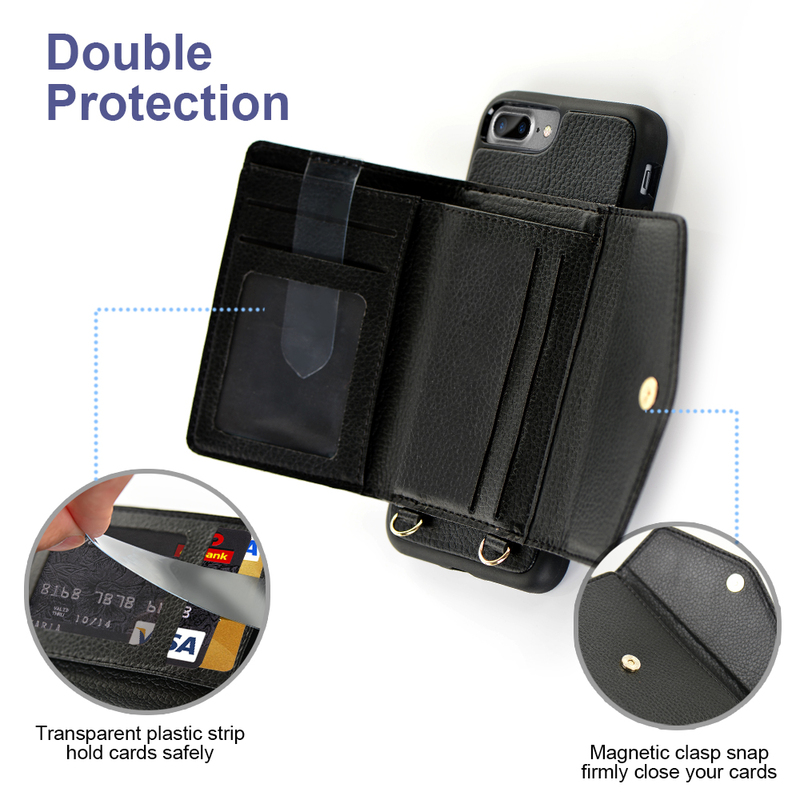 (ID, credit card, debit cards or cash) like a mini crossbody bag. Adjustable shoulder strap length measures 45"-54" with flexible buckles, easy to remove with wrist strap and change into handbag. New design handbag perfect for daily, workdays, short trips, outdoor vacations used. 1. 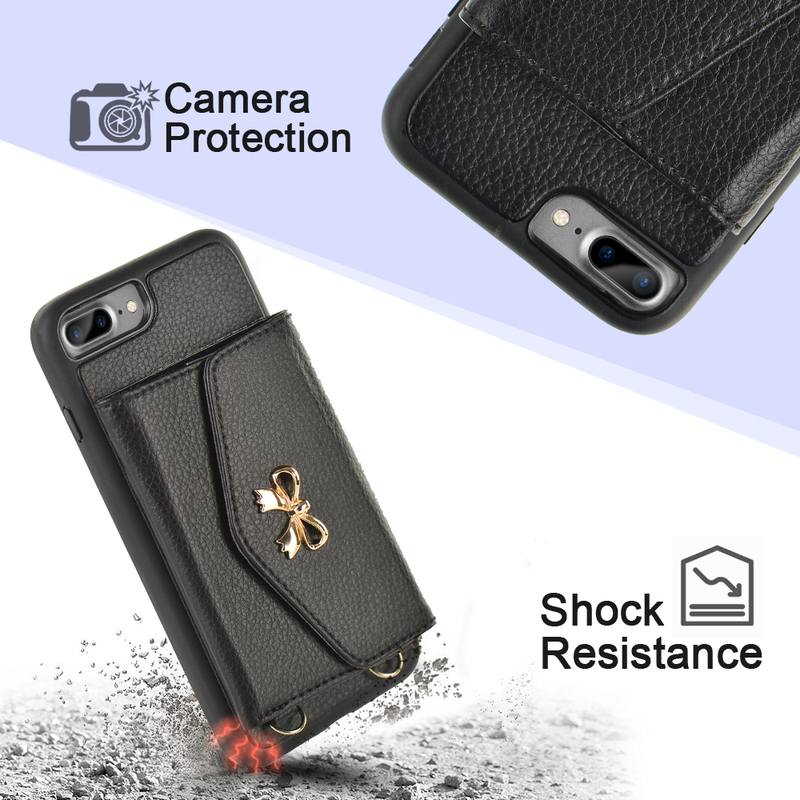 The cover provides full-frame protection, made with the High-quality durable soft PU + premium TPU material case helps protecting from a tough drops, scratches, and bumps. 2. 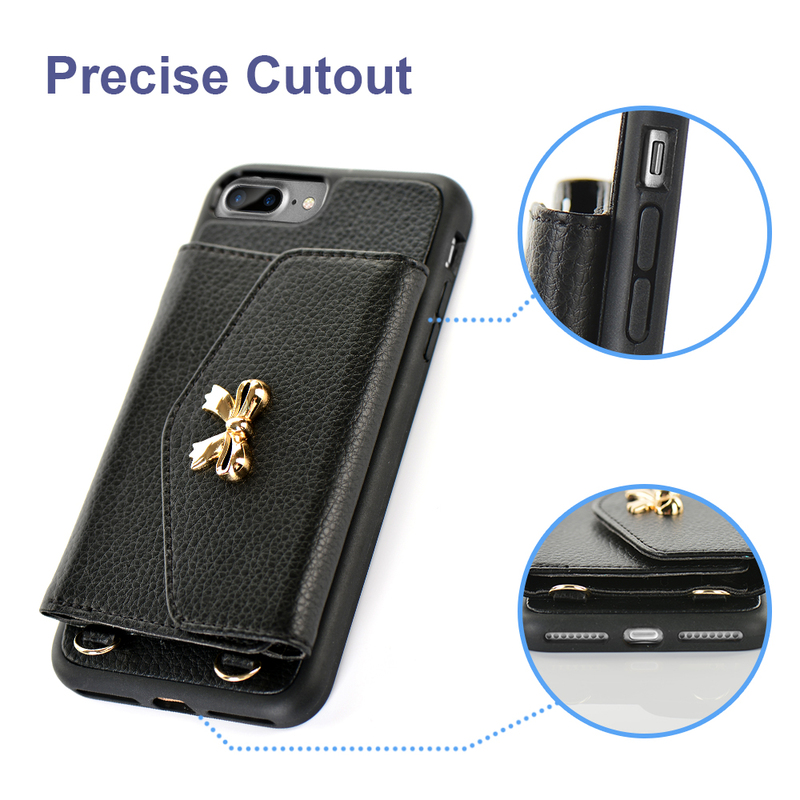 100% HADNMADE craftmanship fashion designed multifunctional iPhone wallet case, precise cutouts for speakers, camera and other functional ports allow you easy access to all ports and functions, without removing the case. LAMEEKU customer team would endeavor to win 100% customer satisfaction. If you meet any question, please contact us, we will fix your issue within 24 hours. Please feel free to contact us if you are not sure your Phone Type. 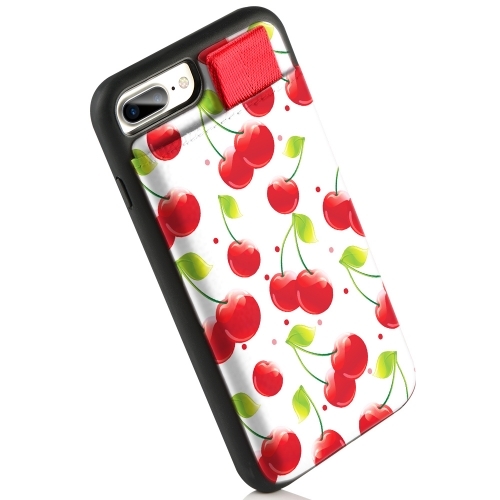 - Fits perfectly, suitable for Men, Women, and Teens of all ages. 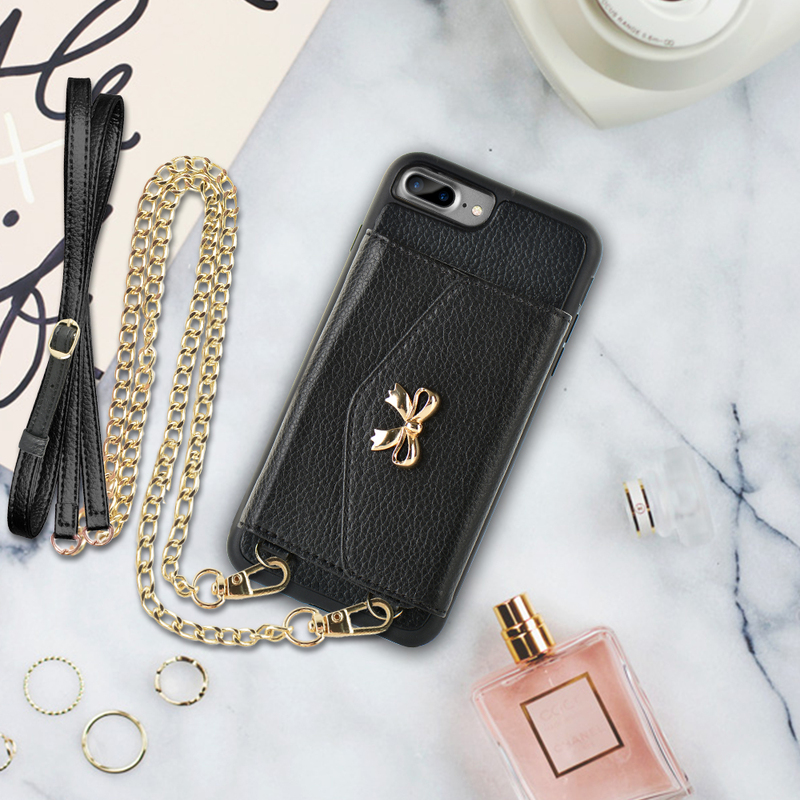 Precise Cutouts Fits perfectly on your Apple iPhone 7 plus iPhone 8 plus [5.5inch]. 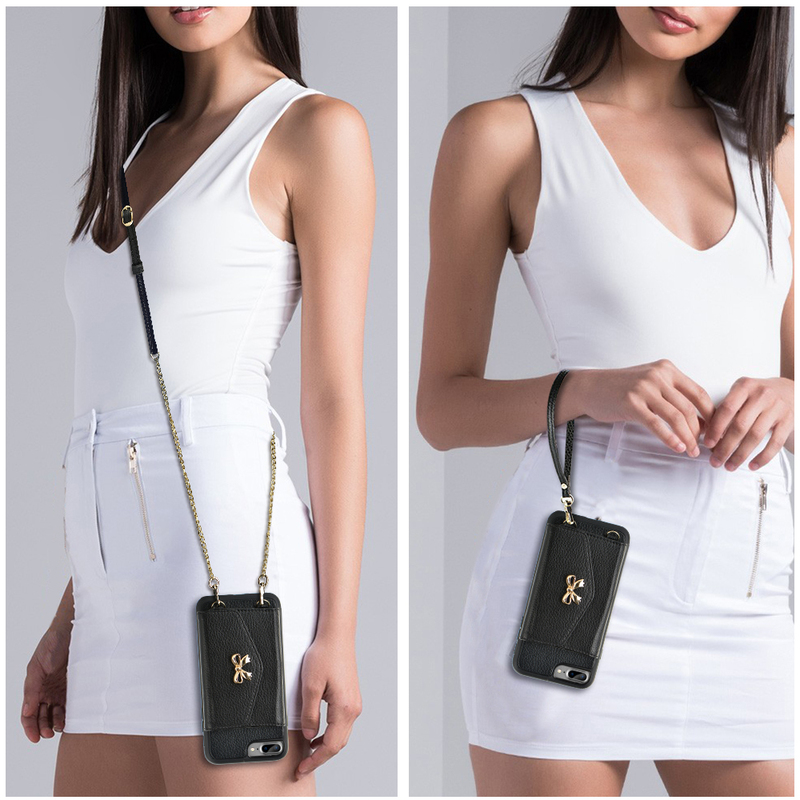 - A detachable crossbody Strap and wrist-strap is a great choice for you to carry it easily, also you can hang your keys or some little cute decoration. 1 x Crossbody Chain Strap. 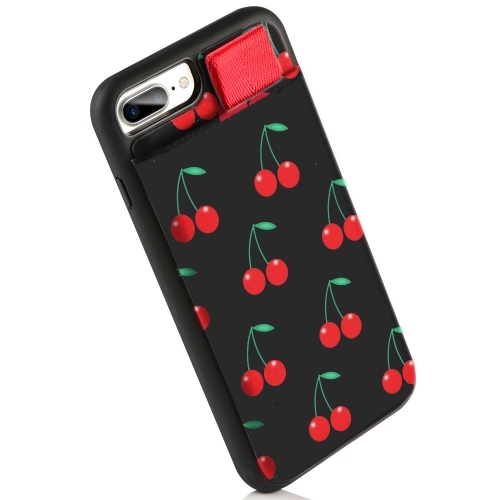 Will the case fit if my phone has a tempered glass screen protector? 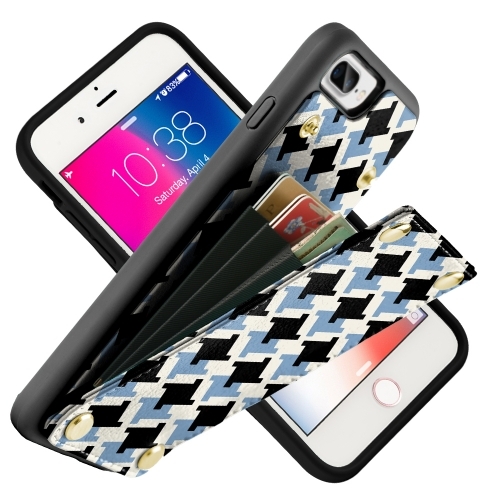 Absolutely, it will fit your phone perfectly. 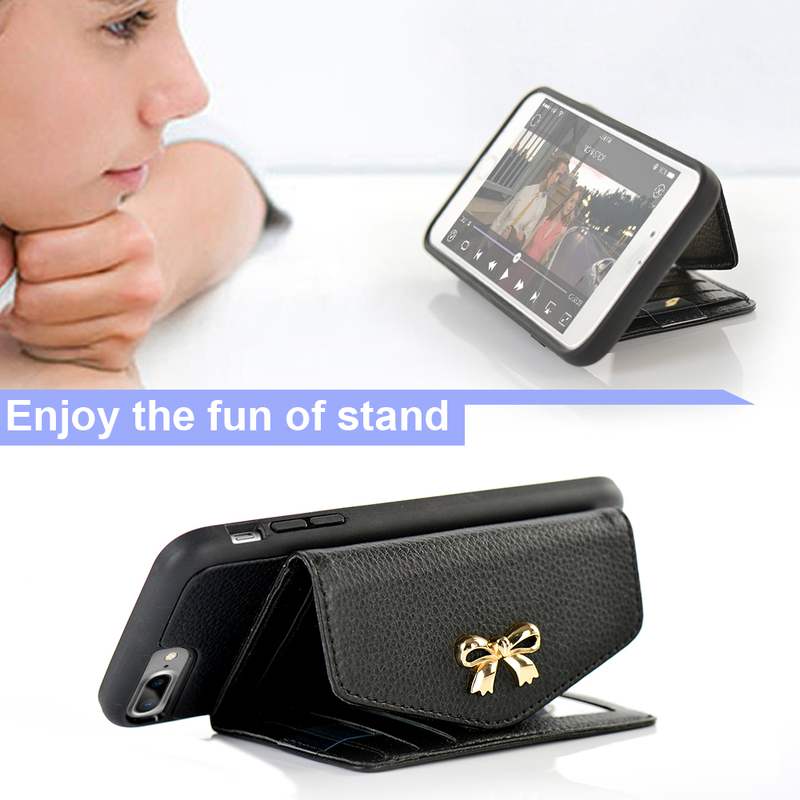 Can you talk on phone and take pics without removing case? Yes,there're cut-outs for the back camera, speakers, ports, and mute button, perfectly fit for your iPhone 7 plus/8 plus! The back folie will not block the camera. 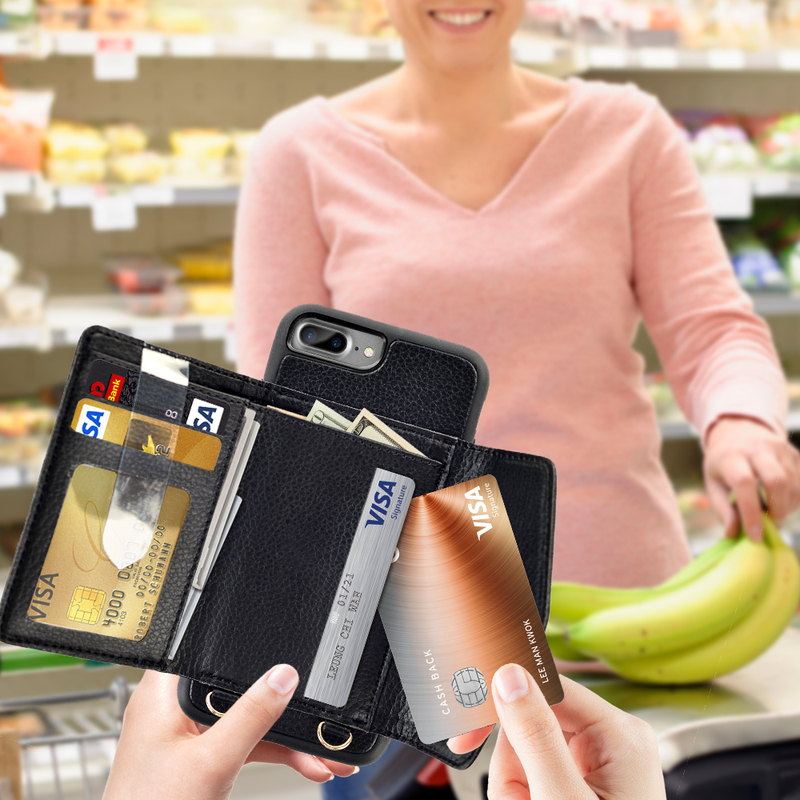 Can the card holder be seperated from the phone?